I have bought some old stuff on car boot near me. 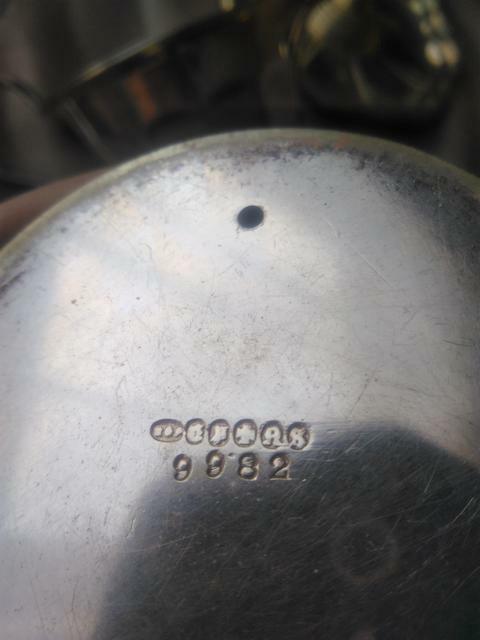 I tried to recognize this hallmarks but I can't find any similar to this. Can someone help me, please? These are not hallmarks but manufacturer's marks as your candlesticks are not silver. The gothic letters either side of the cross are EP and NS which stand for ElectroPlated Nickel Silver. I can't make out whether the stamp to the left contains initials. If so that would be a clue to the manufacturer's name. 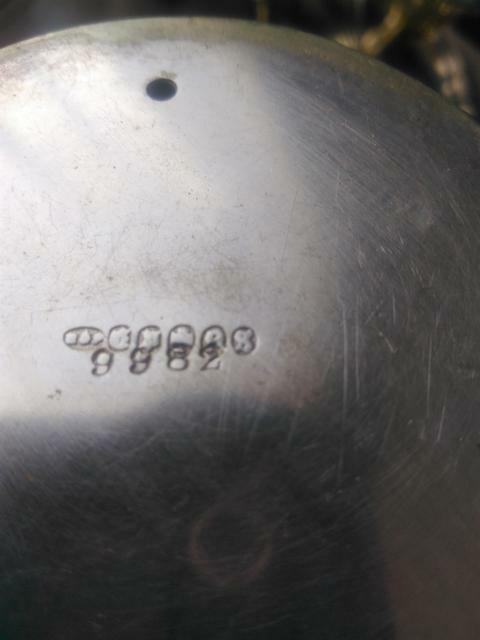 Can you make out any letters and if so what do you think they might be? Btw Ehhh I thought that I have found some small treasure :). What about this first mark, I can't read it either. On both, I can see only 3 x dots.